Western and western- flavored boots are always hot and fashionable. Frye is a name that we always connect with quality western inspired boots, riding boots, and even equestrian boots. They offer several popular styles and all of them are of great quality and look cool. Whether you are already fan of Frye or just want a pair of good western boots, or classic tall women boots that will last for years, check out these boots from Frye which has extended calf sizes now. The boots below come with wide shaft circumference to fit athletic calves and offer extra room to tuck in skinny jeans. If you like some of the picks below pay special attention to the shaft circumference part of the item description. Measure carefully your athletic calves, the wider one at its widest part, allow for additional 1/2 in room and make sure you have the proper calf fit. 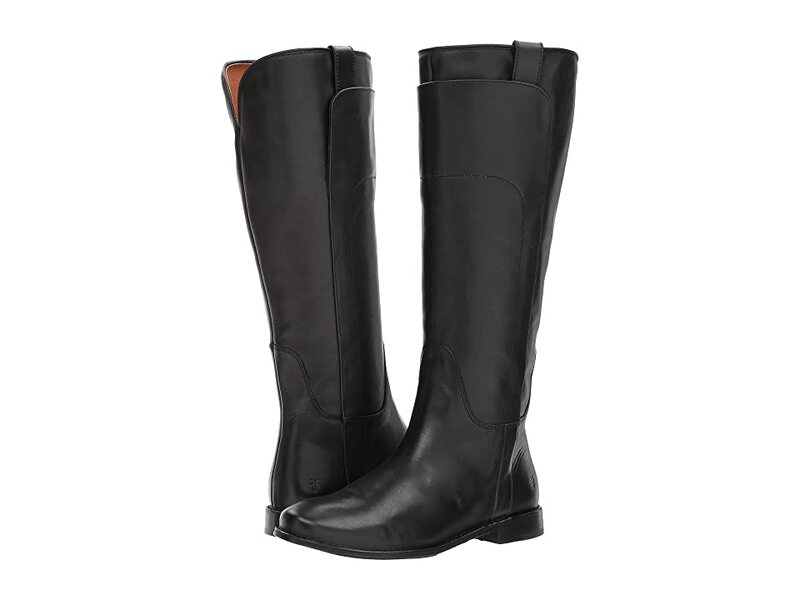 Frye Paige Tall Riding are equestrian- inspired boots which are good for riding and casual boots. Round toe, stacked heel with rubber cap and shaft circumference of 16 in at widest part. 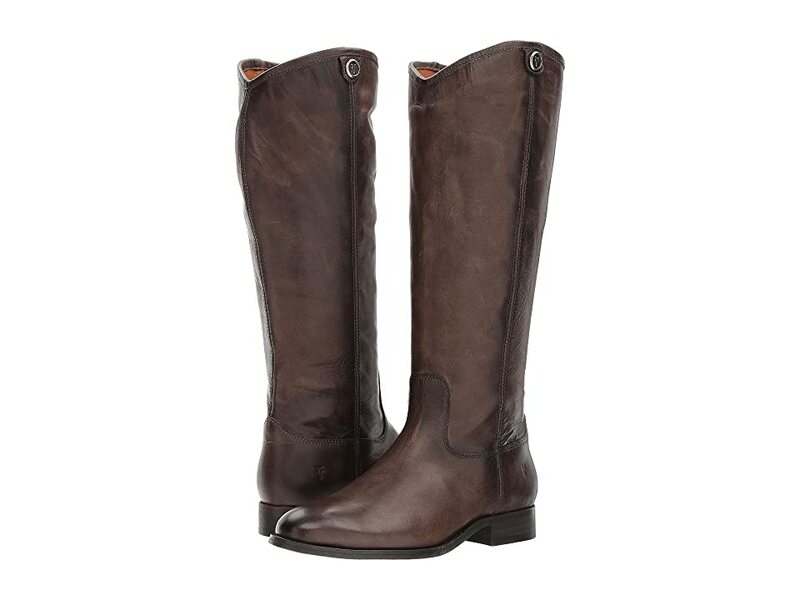 Frye boots with pull- on design and extended 17 in calf circumference. 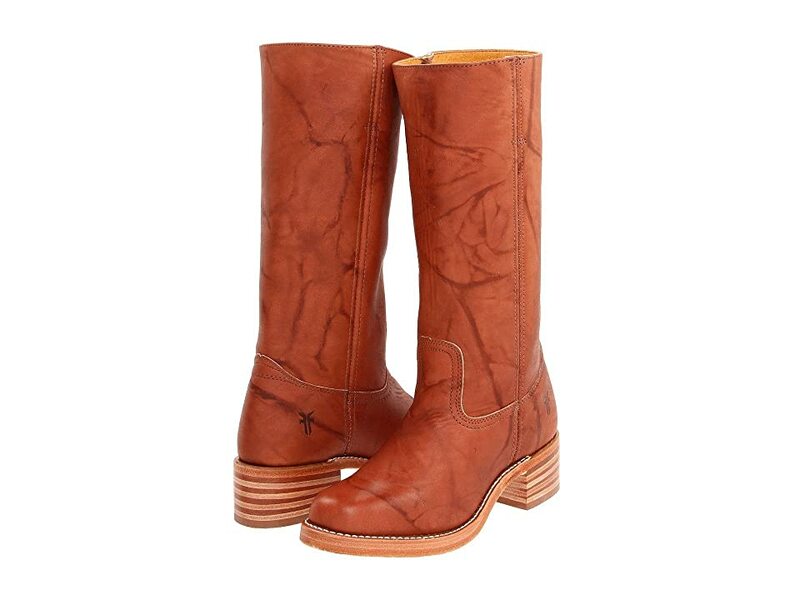 Pair of western boots with 16 inch circumference width made of soft leather comfort meets quality. This is a pair of classic Frye boots with beautiful full-grain leather upper and extended calf width: 17 in for extra room to tuck skinny jeans in.